Pioneers in the industry, we offer bare tube evaporator, finned evaporator and shell and tube type evaporator from India. 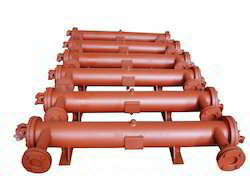 Ours is a reputed organization, which manufacture and export the best quality of Bare Tube Evaporator. A standardized process is followed for their manufacture. These are made available in multiple colors and dimensions as per the requirements of the customers. We offer Bare Tube Evaporator in various specifications to cater the needs of the domestic as well as international market. We are involved in manufacturing, retailing and exporting of Finned Evaporatorthat is constructed with advanced technology for better performance. Finned Evaporator are available in various specifications and dimension and can be customized to meet the specific requirement of our clients. 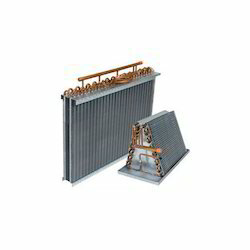 The Finned Evaporator can be obtained by the clients at competitive prices by clients. 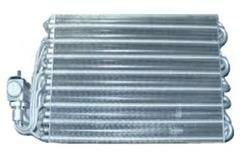 Premier Engineering Works are among the best manufacturers and retailers of Shell and Tube Type Evaporator. Shell & Tube Type Evaporator are designed to provide its clients with best solutions available in air-condition and refrigeration usage. The main function is to evaporate the liquid refrigerant into vapor refrigerating and cools water. The shell and tube part is made of high performance tubes.